There are two components I usually include in this step. 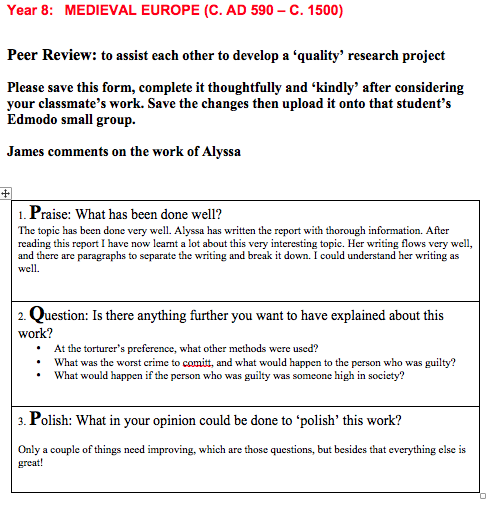 The first is Peer Review when the students read through the reports of another student and evaluate it using a ‘Praise, Question and Polish’ scaffold we just call PQP. 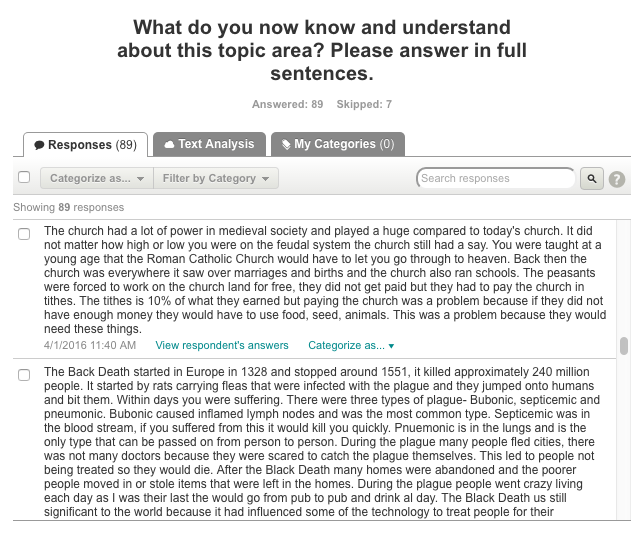 Because I have collected the students’ research questions it is possible for me to assign them to each other so that they work on a different topic area to their own and hence their knowledge is broadened. 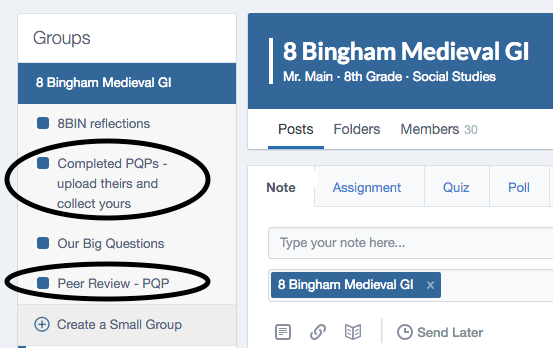 The list of ‘peer reviewers’ was previously posted into Edmodo and the creation of ‘small groups’ were used to manage firstly the sharing of reports and then the uploading of completed PQP scaffolds so that students could retrieve the evaluation of their work by a peer. 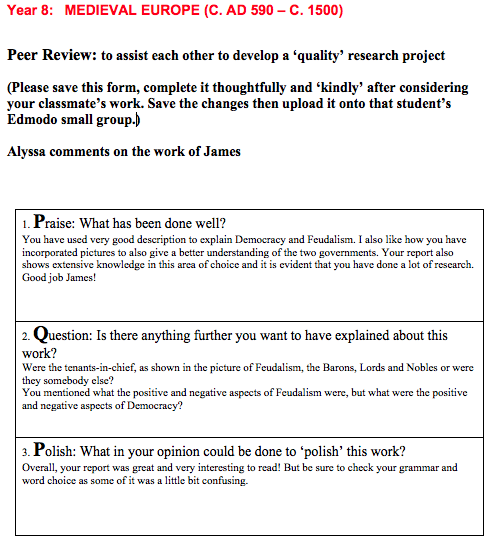 PQP Scaffold – Student downloads a peer’s report, reads it and completes the scaffold before uploading it again for the partner to se the review. 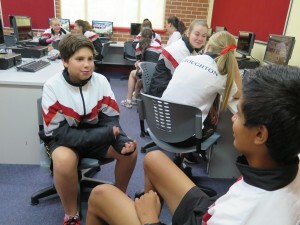 The students then complete the final reflection questionnaire I set up in SurveyMonkey. This is the third survey and has a couple of extra reflection/evaluation questions. From this I can build data comparisons between the beginning and the end of the unit of work across the surveys and track knowledge growth, interest levels as well as monitor information literacy components. This gives data for Action Research ‘sharing’ and I have been selecting one unit of Guided Inquiry to study in this way every year. Seeking and gaining permission from students and parents must also be done at the beginning as mentioned in my first post. Collecting photos, video and data throughout the unit keeps me busy hence I do not do all this for every unit! This will be a ‘holiday job’! One of the teachers told me that, at her Parent/teacher Interviews last week, a parent told her that this way of learning had really engaged her child and that they wished all work could be delivered in this way. This reminded me that I could also survey the parents so yesterday I emailed all Year 8 parents with a link to a very short parent survey. I have yet to check my survey results from parents to see how they observed this work from the home-front. The teachers will also complete a survey soon. 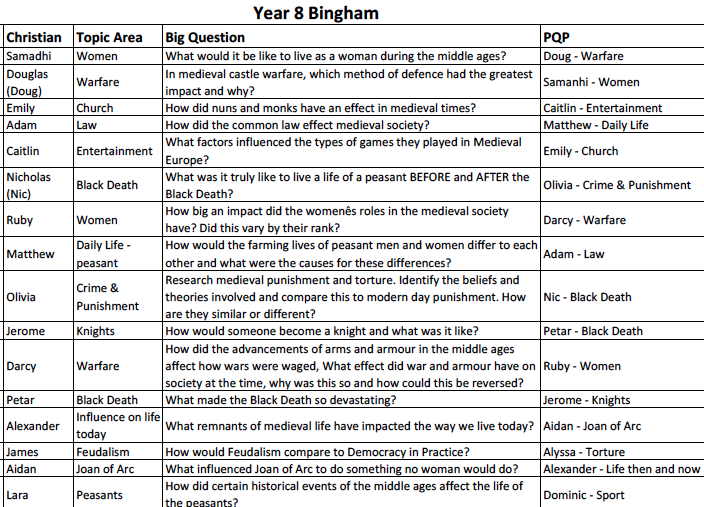 This will be used to gauge what went well and what needs to be changed for this unit next year. This forms the basis for planning in 2017. 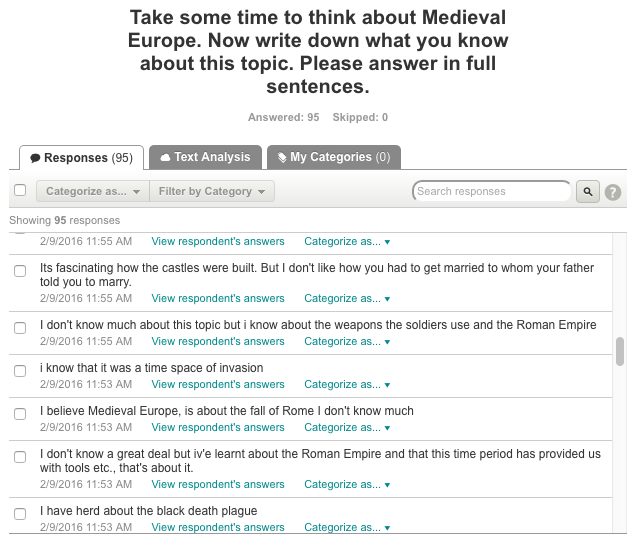 The Medieval Europe unit of work is at an end – well almost! 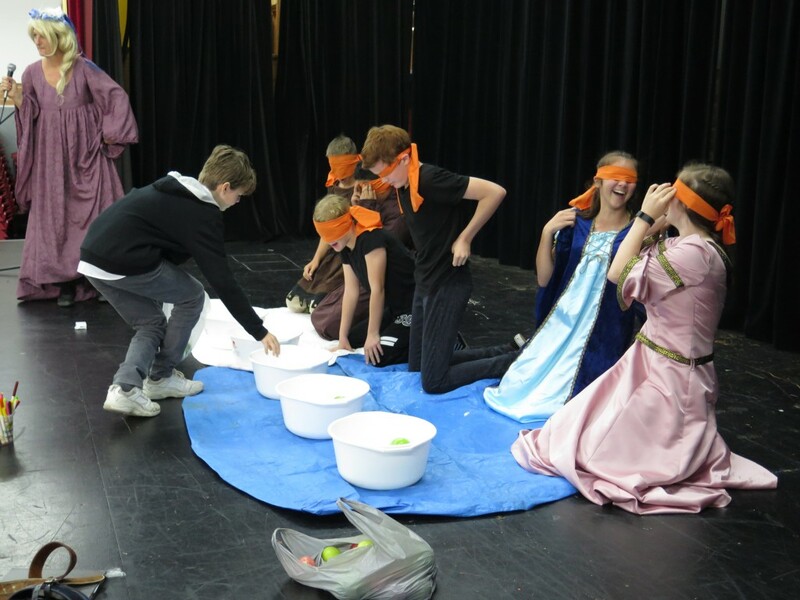 We finish this week with just a few periods of Humanities before the school holidays start and the teachers are using these in different ways. One had a few lessons of ‘Overview’ looking at some paintings scenes of the time and discussing aspects of them. Another is showing the class a History Chanel documentary on the Black Plague. The third organized a discussion overview of the topic for her two classes using a whiteboard timeline and had the school chaplain speak to the students about the Church then and its influence on society, a bit of Church History since and how the Medieval times led into the Renaissance and why. 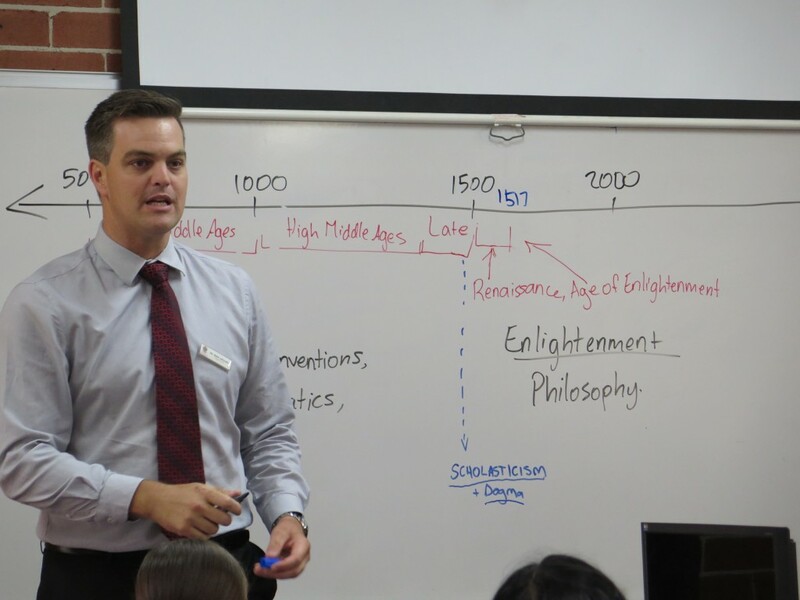 The students learned about Scholasticism and Dogma and through “Pair Share” activities this was related to their beliefs today and they discovered that they too hold to certain dogma. It was a fabulous lesson. Because of the discussion ‘share’ last week the students freely offered discussion points and ‘conversed’ with the Chaplain. For the start of next term the teachers have organised a “Medieval Day” and the whole day will be dedicated to activities – from apple bobbing, feasting, sharing knowledge activities and culminating in an ‘Inscursion’ by two historical enthusiasts who will speak to the students and have on display all forms of armour and many weapons of warfare and torture! 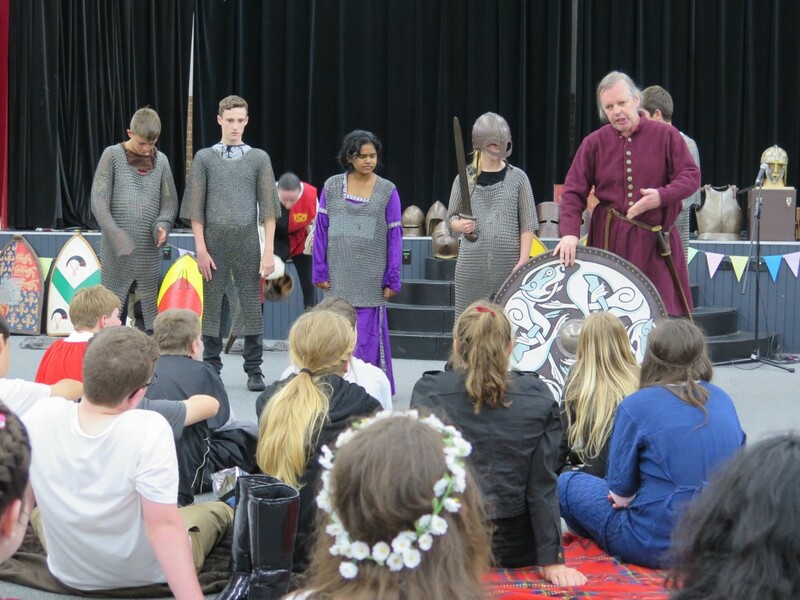 After their talk the students will be allowed to try on the armour, be held in the stocks, touch and lift the weapons etc. Last year this was the highlight of the year for many students and I predict that it will be the same this year.